If you think the economy stinks in the United States, then take a stroll across The Pond and feel better about yourself. Europe, specifically Great Britain, is no picnic for retailers either. Just ask Regis Corp. and Best Buy. Regis, based in Edina, has been restructuring its international operations, which are mostly in Europe, including closing up to 80 underperforming salons in Great Britain. For fiscal 2011, international revenue fell about 3.7 percent from the previous year to $156.1 million. No wonder Starboard, a New York-based activist hedge fund, is pressuring Regis to dump its entire international business and focus on its core market in North America. Best Buy is not faring much better. The retailer recently said the international same-store sales fell 3.2 percent. While China generated growth, Europe and Canada dragged down both sales and profits. "Our performance in Europe reflected the challenging economic situation and the resulting effect on consumer spending," CEO Brian Dunn told analysts during a conference call. Said CFO Jim Muehlbauer: "Quite frankly, that enivronment is more difficult than what we've experienced in the U.S. markets from a consumer standpoint." The problem is especially acute in Great Britain where smartphones make up a large percentage of sales. Best Buy officials noted that local carriers recently switched from 18 month contracts to 24 month contracts, depriving the company of upgrade revenue at this point in the year. 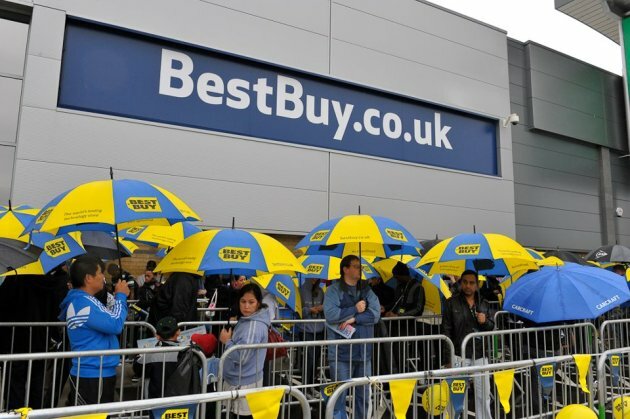 Best Buy's struggles in Great Britain have led to speculation that the company might pull back from the country. In a report published recently by the Sunday Express, the newspaper said Best Buy is conducting a strategic review of its operations. The company operates 11 stores.through a joint operating agreement with Carphone Warehouse. “We are discussing all possible options with our shareholders, and once we have the results of our strategy update we will have a more definite picture of what our plans are," a source close to the company told the paper. The Sunday Express also noted that Best Buy initially planned to open up to 200 stores when the retailer first entered the country last year.